The second evening of the St Andrews conference I’ve been reporting, Monasteries and Secular Authorities in the pre-Millennial Medieval World, held the conference dinner, which was really rather good (though we paid separately for it), and then the next day was the last. I packed at some speed before the papers started, and as a result, it subsequently became clear, left my phone charger plugged into a wall—bet you were beginning to wonder about that—though I didn’t notice this till the battery actually ran out on the last day of Leeds, by which time it was a little late to do much about it. Anyway, the third day was only a half day and in that half, Ann Williams discussed the alleged predatoriness of Earl Godwine upon the late Anglo-Saxon Church and found the evidence somewhat thin—apparently she plans to rehabilitate Archbishop Stigand next—and Rosemary Morris took us though the considerable intricacies of the tax evasion, or avoidance—when you can get the Byzantine Emperor to sign off your tax reduction, much to the annoyance of his own officials who are trying to enforce payment, the legality of your tactics are fairly moot—practised by the monasteries of Mt Athos in the eleventh century. She challenged the Western diplomatists to come up with anything as impressive as the chrysobull of Alexios Comenos; give me time… Then in the second and last session Matthew Zimmern told us about Stavelot-Malmédy, a house which developed a split personality to match its dual site in the ninth century, for reasons that once more could be apportioned on the one side to royal interests and on the other to those of the familia of Columbanus. 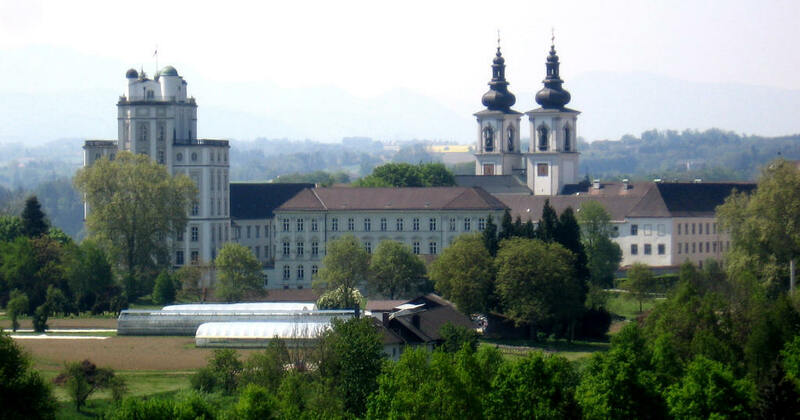 The conference and that session were closed out, saving the summary, by Leanne Good who was presenting on the foundation of the Bavarian (now Austrian) monastery of Kremsmunster. It only occurred to me some time after I’d left the town that although I’d been talking to her avidly about the edition of the place’s charters, which I met through Lay Archives, she may have been confused as I had jumbled it in my head with that of Kaufungen, which is a rather different place. Sorry, Leanne! Anyway, because Kremsmunster was a frontier foundation on a border with ill-defined territories owing notional loyalty to a non-Christian polity there were lots of things that leapt out at me from this paper that sounded like my area; granted, her non-Christians were Slavs and Avars and mine were, well, if only I knew but in some cases at least Muslim, but there are parallels. Not least, Tassilo of Bavaria was doing this exercise partly so as to pitch himself as a mission leader and Christian ruler in the face of Carolingian pressure on his independence; the situation isn’t quite the same with Guifré the Hairy, who is basically free of such pressure, but the parallel still gave me some added perspective on what Guifré may have been trying to do with his monastic foundations. It also involved some interesting speculation on the audience for the foundation document, presumably the court, which in turn raised questions about what kind of pressures Tassilo was trying to deal with among his own nobility. It is as we were later to hear in Leeds; sometimes, the strange things that people do tell you most about them. Of all the papers we heard this was the one I most wanted a copy of, for my own purposes, and I must in fact mail and beg one. Warren Brown summed up, reminding us how much we’d heard about how the sources themselves interfere in the history they record, but also reminding us that so do our own interpretations. Should we really be surprised when we hear of cleric-kings, of family monasteries or monasteries with no monks, or is it just our modern perspectives messing up our expectations? And of course, though we had seen monasteries several times as political tools here we had also seen powerful communities asserting their own agendas, and ideally our pictures of how monasteries and secular powers interacted in the early Middle Ages would always remember that both parties to the interaction had some input. The second day of the St Andrews conference just mentioned dawned comparatively kindly since proceedings didn’t start till the civilised hour of 10 o’clock, which suits me very well, leaving time between closing time and breakfast time for enough sleep and then for enough reading and tea to become coherent by the time anyone tries to talk to me. And the way the programme unrolled, it was a while before I thought of anything to say anyway, but Christian Harding‘s study of the peregrinations of the monks of St Philibert, who once they were shifted from their original coastal house at Noirmoutier during the Viking Age went through about six more locations before finally settling at Tournus many decades later, did raise some questions. He was seeing the monks and the gifts from the kings by which they were able to move as political tools in the rivalry between the Carolingian kingdoms, starting as a loyal outpost in the Breton march where, as we’d heard yesterday, Carolingian control was never as tight as might be wished, and then being competed for between Charles the Bald and Pippin II of Aquitaine his nephew on that border. This raised questions about whether you could really shunt a community around like that, or whether they had serious problems settling and begged more and more land, where, in short, the initiative was in all these translations, questions that could have been argued for much longer than we had. In the second session Thomas Owen Clancy talked about the leadership of the familia of Columba (not Columbanus this time) and Alex Woolf addressed the question of how the Welsh Church ran before the Normans got to it, focusing on the secular nature of its church communities, who seem to have operated by dividing the church property between them in private tenure. This is something that, though the Normans saw it as something in need of reform, I could easily recognise from the way that the pre-Catalan Church uses deacons and priests as unofficial managers operating from mother churches, and which Anglo-Saxonists might recognise as a bit like the `minster hypothesis’. As I said to him, Alex has a particular talent for taking a tangled argument and suggesting a brilliantly simple solution, and here again he had chosen one good way of doing this, which is to wonder if the situation was really weird or if what’s going on was what was going on in other places under different words. He also raised the important point that we often identify church sites with enclosures as monasteries, but the fact that there was a monastery at a site doesn’t necessarily imply that the site is a monastery. In the session after that Federico Marazzi, who is leading the continuing dig at the huge Italian monastic site of San Vicenzo al Volturno, gave us an extensive introduction to the site, which raised among other things the peculiarity that the huge abbey church appears to have been accessible only via the cloister, and therefore to the monks and those they admitted; the locals, such as they may have been, must have worshipped elsewhere on the site. Melanie Maddox then told us about how Æthelflæd, Lady of the Mercians, used not just force of arms but forces of clerics in her reconquest of the North-West from the Danes and Norse, by translating saints’ relics into new churches she’d set up, not least St Peter’s at what might have become a new Mercian capital at Chester. In the last session that day, all certainties were temporarily dissolved. We had begun the conference, most of us, reasonably certain that we knew what a monastery was and that, fundamentally, there was a Benedictine ideal in play for most of our period to which places either conformed or did not. Now, Tom Brown told us (more) about Ravenna, where drawing the line between monastery and not-monastery is made harder by a plethora of tiny little private cells with a population of maybe one or two who really lived elsewhere, more like Egyptian hermits’ cells than Benedictine abbeys except for the fact of their urban location. Monasticism can, as he said, mean a lot of things. But this was nothing compared to what Albrecht Diem unleashed by what started as an innocuous comparison of Gregory of Tours’s Vita Patrum to Jonas of Bobbio’s Life of Columbanus (told you we’d be back there). He stressed that almost all our sources operate by asserting some kind of continuity with the time of writing, even if it’s only a recognisable location, and that the present therefore shapes the past in its reporting, but then brought out specifically how Gregory’s and Jonas’s times and agendas bent some of our primary established facts about the ecclesiastical set-ups of their times. Gregory has a range of ascetics from all walks of life doing their various things, but the noble bishop is still the boss; but Jonas makes the ascetic the boss, even telling kings what to do and immune from their attack (both legally and by miraculous intervention), and the interesting thing is that he’s using Gregory as he does it; the parallels Albrecht drew were pretty damning. Someone out there can tell me where the maxim about not dismantling your master’s house with his own tools comes from (yes, OK, so can Google, it’s Audre Lorde), but here is Jonas at the very least rebuilding his master’s house with exactly the same equipment. Take that, Loltheorists! * The upshot is that we really don’t know a lot about the politics of these people’s times even though it seems as if we do. If the Vita Columbani is at least partly literary construction, how much do we really know about how Merovingian kings operated? Almost only what’s in Gregory, who makes them seem like illiterate buffoons because of his basic “trust the educated bishop” message. And for an encore, in questions, Albrecht went on to question the historical existence of Saint Benedict of Nursia and whether the Rule of Benedict even existed as a text before the Carolingians asked for a copy. I’m not joking. Piotr Górecki summed up with the air of a man slightly shellshocked, and urged that a book should come of all these papers; I later gathered that this is indeed the plan. If so Albrecht’s paper will be the kind of reading that makes the floor seem worryingly flimsy beneath us. * Yes, I know that’s nothing like what Lorde meant, I’ve even read the original essay, and I will willingly admit that I am inappropriately using it to describe a contest of wits between two privileged members of a white male élite; but nonetheless they are politically opposed over where the control of monastic life lies, and one of them is repurposing the literary work of the other to completely invert his point. I think it stands up. Right! I’m really back now. And I used up all my buffer while I was away so had to actually write stuff. To help me with this, the world broke my catch-up lie-in with two early morning doorbells, the second of which woke me from a dream about how I’d forgotten to get up in time and had lost the whole day and not fed the child yet (the child gets his own breakfast quite happily but my subconscious is not satisfied with dull facts), and this left me deeply confused about what time it actually was. I could wish I’d been feeling cleverer when I wrote this, because there are agendas to be considered in the reportage. Quite apart from the basic complications of saying things about others in public, one person I’ve met wanted not to be reported without seeing it first, which is quite understandable but not my usual practice, and it will be difficult to write anything at all without endangering other bloggers’ anonymities. So if any of the below is incoherent all that’s why. Anyway. I think I have about eight posts I have to write. This is the first, and is about a conference I went to in St Andrews. Before I got very far trying to write this up short it became clear that it wouldn’t stay that way, so instead of one Leviathan this is the first of three posts, one for each day with the last half-day also having a round-up and the shout-outs. Okay! St Andrews is one of my favourite towns, to visit at least; I might find it a bit slow to live there, but I keep hoping to try anyway. I have friends there, some of the people in the profession I would consider friends even if they weren’t colleagues and some others not in the profession, and I always find stuff there to make me think. This time the stuff mainly came from a conference organised by two postgraduates under the name of Monasteries and Secular Authorities in the pre-Millennial Medieval World, and it must be said that they did an awesome job. Maps, programme, equipment, accommodation and free-flowing socialisation all just seemed to unroll without any major problems, and these guys could surely be making better money as PAs somewhere, though I hope that they don’t take it. The whole programme was full of good stuff. You can read it at that link so I won’t replicate it here but just remark on a few of the papers that really made me think. The first session was on the existence or not of the town in early medieval Ireland. It is widely argued that there was nothing in Ireland that scholars of other areas would recognise as a town until the Vikings fortified Dublin, and the debate isn’t even about that, really. The question is whether, until then, monasteries fulfil a similar function as centres of population, production and exchange. It seems to me that this is essentially subjective. A Roman villa could fit that description. Is Clonmacnoise up there any bigger than a Roman villa site? How large does a place like that have to get before it stops just being a farm with a religious function and perhaps some legal jurisdiction? This is a semantic field really and I prefer to deal in the archaeology of what was there, which is why I prefer the approach Martin Carver et al. have taken with Portmahomack in Scotland where such questions have essentially been secondary. Anyway. There’s some useful introduction at the link under that image if you want to know more. Charles Doherty argued that the important churches of Armagh and Kildare had political jurisdictions by virtue of being associated with kings and particular kingdoms from early on, but they eventually had to settle for essentially spiritual jurisdictions as politics left them behind. Against this Colmán Etchingham argued that a lot of the evidence for non-agricultural activity, especially assemblies, at these places is based on faulty equivalences between modern Irish and Old Irish terms that have shifted their meaning. Agreement was not general with either speaker, but these two have apparently been sparring for a long time and were able to disagree like gentlemen and be friendly to all, which is exemplary. It did make me think, however, that by their criteria any of my subject monasteries are towns, which makes no sense in a landscape with cities in it such as I have. I just don’t think it makes any more sense in a landscape where the cities are missing; there’s just a sort of social articulation that doesn’t happen in Ireland till later, though it’s worth saying that Dr Etchingham thought that the paper I mainly have this idea from was all kinds of wrong. In the second session Roy Flechner introduced us to the questions around Irish kings who were clerics, clerics who fought in war, monasteries that went to war against each other and in general a rather different attitude to war and its combination with the life spiritual than we usually think of even for the Middle Ages. Then David Dumville gave a paper about the monastery at Landévennec in Britanny. I suppose many people know that I have old personal issues with Professor Dumville but this was he at his best, sharply discriminating with the evidence and imaginative with its solutions, as well as crystal clear in delivery. 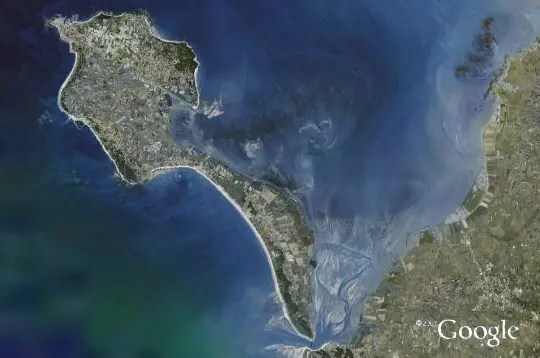 Landévennec is important because so much that we know about early medieval Brittany comes from the abbey of Redon, which is right on the border with Francia and very much a colonising enterprise, whereas Landévennec is right on the western coast in the Celtic-speaking zone. Unfortunately it also got trashed by the Vikings several times, its monks became fugitives and the documentation from it is basically missing, so it also contrasts with Redon by mainly being an archæological site. 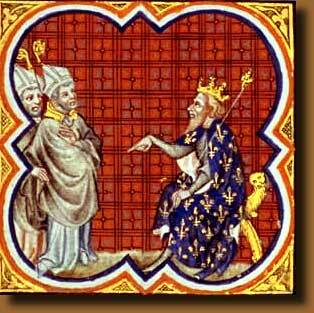 Professor Dumville looked dubiously at the precept that the monastery later claimed to have got from Louis the Pious via an abbot whose name appears merely to be Breton for `good monk’, and which has been used to argue that Louis put Brittany under Benedictine observance, his doubt largely because it’s simply unproven that the Carolingians ever controlled that far into Brittany. He suggested that any such success was instead driven from the bishopric of Tours, and that the best division to make in Brittany might not be Frankish/Celtic, native/incomer, or whatever, but pro- or anti-Tours. I think that has something going for it but obviously the fact that sometimes there were dukes or kings opposing the Carolingian kings needs to be in there too, though we don’t really know how much they controlled either.1 The other thing that came up in this paper was the fact that there is, despite the social dislocation that they caused, very little Viking settlement evidenced in Brittany, except right up in the north-east near Coutances. This caught my ear because Coutances is very near Bayeux, where we were discussing Viking settlement only a short while ago, and Alex Woolf later informed me that the Norse names in that area are in fact predominantly Hiberno-Norse, suggesting that the invaders came from Ireland. This may be where the Benjamin Hudson theory one commentator on the previous post mentioned is coming from. The last two papers were perhaps the most challenging for me specifically. They were given by two of the people involved in the Lay Archives Project, of which I have oft-times spoke, and first up was Warren Brown who was emphasising again what he has said before, that the formula or model documents that we have lurking about in various early medieval collections tell us about a much wider range of things than those documents that usually survive, which are naturally enough usually about land (because that, too, survives longer than most other goods).2 The formulae preserve all kinds of unusual operations a scribe might have to record, but it is often argued that they are relics of an age when document use was different. One set that’s definitely not, as Warren was here emphasising, was that written up by Notker Balbulus, the Stammerer, monk of St Gall and biographer of Charlemagne, d. c. 912, which Warren therefore used to explore how lay people were using documents in Notker’s time. The second paper in that session was given by Hans Hummer, who was looking at monasteries as centres of lordship. The interesting thing there for me was his pointing out that really, though churches do not die in usual circumstances and are indeed not vulnerable to the divisions of inheritance, you still don’t necessarily want to try and shunt all your family lands into a church you control so as to keep them together, as has been suggested people did, because churches are vulnerable to other authorities, kings, bishops, reformers, and so on. You never wholly own a church, because it has a place in some wider hierarchy that’s outside your control. (Unless, as in the Catalan case, the bishops are all your cousins…) Because there is a body of work that contends that Merovingian- and Carolingian-period nobility, among others, did just this, the counter-perspective was useful.4 I wouldn’t like to guess which is more predominant but I like to have people considering alternatives. 1. The top-down version of this story is told, as Professor Dumville graciously conceded, about as well as it can be told in Julia Smith’s Province and Empire: Brittany under the Carolingians, Cambridge Studies in Medieval Life and Thought 4th Series 18 (Cambridge 1992). 2. Warren has said this where others can read him in Warren Brown, “When documents are destroyed or lost: lay people and archives in the early Middle Ages” in Early Medieval Europe Vol. 11 (Oxford 2002), pp. 337-366. 3. 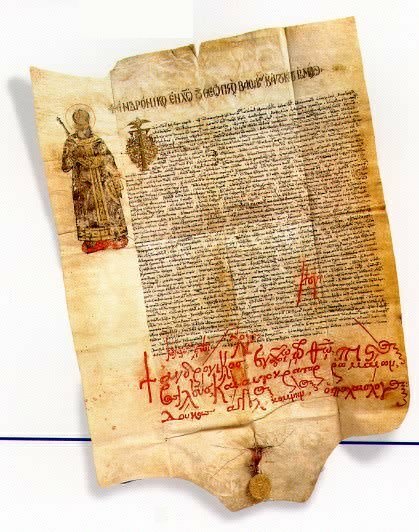 See for Catalonia this case put in Adam J. Kosto, “Laymen, Clerics and Documentary Practices in the Early Middle Ages: the example of Catalonia” in Speculum Vol. 80 (Cambridge MA 2005), pp. 44-74. 4. The place I was most convinced by the original argument was Régine le Jan, “Convents, Violence and Competition for Power in Seventh-Century Francia”, transl. Jinty Nelson in Mayke de Jong & Franz Theuws with Carine van Rijn (edd. ), Topographies of Power in the Early Middle Ages, The Transformation of the Roman World 6 (Leiden 2001), pp. 243-269, where the case is argued specifically for nunneries, but I was told at this very same conference by the estimable and charmingly irreverent Sarah Tatum that her thesis has thrown up a number of problems with le Jan’s examples, so that while the theory itself remains plausible actual evidence of it happening is somewhat lacking. End of a long story: I got the book. But I also asked about another book they published not long after, a fat volume of conference papers that I’ve mentioned here before many times, and which when I read it had had to be inter-library-loaned from Madrid. (Their copy was disintegrating even as I had it, too; 700 pages is just too much for a paperback binding.) Eumo, who had been sending me delightful e-mails that switched from Catalan to perfect English halfway through in response to my lousy Catalan written in a mailer with no accents, said that they no longer had any print copies, but they would send me an electronic copy. The relevant staff member’s junior then sent me something else entirely by an author with a related name, but then followed up with the full 700 pages in crystal-clear PDF, in six separate e-mails to avoid blowing up my INBOX. It would have been I-don’t-know-how-many Euros in the paper, they own it and rights to it, I would happily have paid; but no, they sent it me gratis, just because I’d asked about it. I didn’t even do my “it’s really important for my work and publishes some absolutely vital sites and archæological synthesis” pitch, although that would have been true, but now I have it. So all hail Eumo Editorial, because they are lovely. If any of my eventual books ever want a Catalan publisher I’m going to them first. 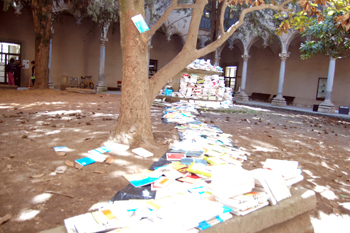 The books in question here are Teresa Soldevila, Sant Pere de Casserres: història i llegenda, l’entorn 35 (Vic 1998), and Immaculada Ollich i Castanyer (ed. 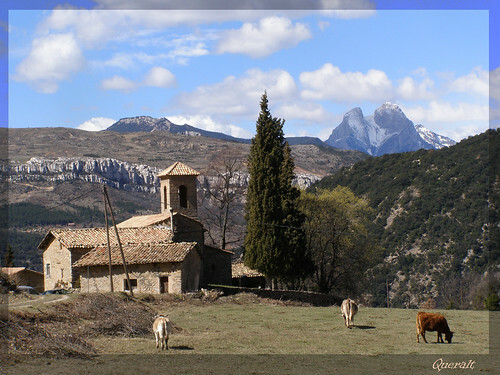 ), Actes del Congrès Internacional Gerbert d’Orlhac i el seu Temps: Catalunya i Europa a la Fi del 1r Mil·lenni, Vic-Ripoll, 10-13 de Novembre de 1999, Documentos 21 (Vic 1999). I get asked, you know, about how to get funding for graduate research. This gives me attacks of conscience because I was turned down for it far more times than I was granted it, but I did get some in my time and occasionally still stab at getting more. Anyway, for those in the UK, it appears that this is these days marginally easier than it used to be. My Masters research was partly funded by a group called the Ian Karten Charitable Trust. They didn’t pay much of my maintenance but the fact that I’d raised some money myself and then also got some support from somewhere made it more convincing for other groups to contribute to fill the gaps, and so I was always grateful to them for unlocking the gates. How did I find out about them? Well, there used to be two big fat volumes that most if not all public libraries in the UK (or at least England) would have, The Directory of Grant-Making Trusts and a related one whose title I can’t remember. They listed basically everyone with charitable status who was in the business of making charitable grants for projects of almost any kind. About one per cent were relevant or possible, but that left one with, say, thirty potential sources of funding, and if one came up, well, that might be enough. It is being hard to find time or will to put much up here, partly because of imminent Leeds (a day after circulating the paper is no time to discover 23 extra charters of which you’ve taken no account, though thankfully they nuance and deepen my argument rather than wrecking it, I know now) and partly because of other attacks on my self-confidence that I won’t burden you all with. However, it seems that whatever I feel about my own writing just now, that of others remains interesting, and I wanted to just mention a couple of things I recently read that reflect and sharpen my own historical enquiry, one new and one old. First up, an excellent article by Cristina Jular Pérez-Alfonso, given a classy Englishing by Simon Doubleday that makes readable and intelligent what could so easily have been jargon-laden and impenetrable, in an equally excellent volume I should have finished reading long ago.1 Approaches to medieval power so often concentrate on only one side of it, the ruler and his or her government, or his opposition, or the down-trodden pheasants peasants. Sometimes the opposition is the government of course, and very occasionally it’s the peasants, but what we don’t often get is all three treated distinctly. Jular tries to provide this balance, king and his ideology and how it was propagated, officials and their practice, their reinforcement or lack of it from the king and their own local standing, and the communities they ruled and their voice in how they were governed, often substantial. She is looking at thirteenth- and fourteenth-century Castile specifically but she references the legends of William Tell and Robin Hood and generally you can use this stuff. And the article gives me a moment of unsettlement when she asks whether the officials represented a class and whether they recognised each other as peers.2 I really ought to have paid a bit more attention to that. I will in future. Hopefully my apparatus there isn’t too impenetrable. I’ve linked up where I’ve talked about people or places there mentioned on the blog before. Mainly I love the sense of realism with which he speculates; settlement must go on but it could easily go wrong, the grand concessions of frontier franchises fail to hide the danger of the place, and you’re freer than almost anywhere here, but that freedom includes freedom from protection against violent military enslavement by your peers across the terra de ningú. Partly I love this perspective because it doesn’t forget the ‘nasty brutish and short’ side of medieval frontier life; but also leaves room for the achievement, and the space for initiative, the hope of building something of one’s own and making a life for oneself, that for some people at least explains why on earth people came to these dangerous places at all, as well as remembering that some people’s families never left.6 It’s pretty rich for ten pages. This post may seem a bit more like therapy than would be ideal, but it does help me to remember why I’m interested in this stuff. Hopefully you are too. 1. C. Jular Pérez-Alfonso, “The King’s Face on the Territory: Royal Officers, Discourse and Legitimating Practices in Thirteenth- and Fourteenth-Century Castile” in Isabel Alfonso, Hugh Kennedy & Julio Escalona (edd. ), Building Legitimacy: Political Discourses and Forms of Legitimation in Medieval Societies, The Medieval Mediterranean 53 (Leiden 2004), pp. 107-137. 3. When I say I don’t, I mean in the forthcoming book. The title is again under debate so I won’t cite it just yet. Instead I shall put this token in: “before 1000”, so that I can easily find it to retrospectively update again. 4. Josep Iglesies, La Reconquesta a les Valls d’Anoia i Gaià, Episodis de la Història 67 (Barcelona 1963). The other is Esteve Albert, Les Abadesses de Sant Joan, Episodis de la Història 69 (Barcelona 1968). 5. The work that specifically inspired me was Pierre Bonnassie’s La Catalogne du milieu du IXe siècle à la fin du XIe siècle : croissance et mutations d’une sociètè (Toulouse 1975-1976), 2 vols, I pp. 106-110, and Eduardo Manzano Moreno, “Christian-Muslim Frontier in al-Andalus: idea and reality” in Dionisius Agius & Richard Hitchcock (edd. ), Arab Influence upon Medieval Europe (Reading IL 1994), pp. 83-96, and the work that it has inspired is Jonathan Jarrett, “Centurions, Alcalas and Christiani perversi: organisation of society in the pre-Catalan ‘terra de ningú'” in Alan Deyermond & Martin Ryan (edd. ), Early Medieval Spain: a symposium, Papers of the Medieval Hispanic Research Seminar 63 (London forthcoming), which, yes, I have been promising for eighteen months already but which is, honestly, forthcoming, but no longer in my hands to affect.